Posted on Wednesday, April 25th, 2018 at 12:00 am. Keeping Pets Calm: From the folks at Comfort Zone, a viable non-medication alternative to stressed pets was showcased. The Comfort Zone Calming Vest with Complete Comfort Compression Technology provides gentle pressure that mimics swaddling to help reduce stress and make your dog feel safer. When stressful situations like thunderstorms or the Fourth of July arise, put the vest on your dog with 3 easy steps. The Comfort Zone Calming Diffuser for cats and kittens releases calming pheromones that mimic cats’ natural, calming pheromones for up to 30 days, signaling to your cat he or she is in a safe and familiar place. This puts less stress on your cat, reducing stress response behaviors like destructive scratching and urine marking. Here’s our Facebook Live with the folks at Comfort Zone. Holistic, Whole, and Humane: Over at Halo Pet Foods, they say the Proof is in the Poop! Halo says that because of their proven digestibility, you can expect to pick up after your pet a little bit less. And, generally feed a bit less. Keeping Pets Healthy: The newest trend in healthy living for pets comes from the folks at Humarian. Their probiotics are targeted at dogs and cats that suffer from diarrhea, inflammation, upset stomach, and more. Giving Back: Helping pets in need, such as initiatives with the Helen Woodward Animal Center and their #RememberMeThursday campaign amongst others. 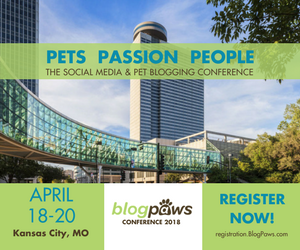 Uniting pet bloggers with animal lovers and rescue organizations, an overarching conference theme include donations and helping pets in need. Nutrition for Pets: To enrich lives and keep dogs and cats healthy, Hill’s spoke about transforming lives. Healthy pets, brands wanting to understand the needs of pet bloggers, and pet parents taking care of pets so they live longer lives was a strong theme of this conference. Living Room: Relax and Connect: Comfort Zone brought to BlogPaws a comfy setting to cozy up with a new book from one of our community authors or connect with speakers and keynotes one-on-one. Office: Capture and Share: Did you step into the Chewy Studios office to amplify your smartphone photography! Kitchen: Taste & Chill: For a quick pick-me-up or a moment to chill, attendees hung out in the kitchen and sample homemade baked dog treats, snacks, and bevvies, generously provided by Whisk & Wag. Patio: Meet & Mingle: Hang out with friends. Chill on the patio. Mingling courtesy our friends at Frontline. Backyard: Play: Merrick welcomed guests to their Kansas City Backyard BBQ. Attendees enjoyed traditional yard games like corn hole and bocce ball, while having fun with friends and colleagues. Did you see the GIF cam and take part? Special thanks to all of our BlogPaws sponsors for making this conference a rousing success! 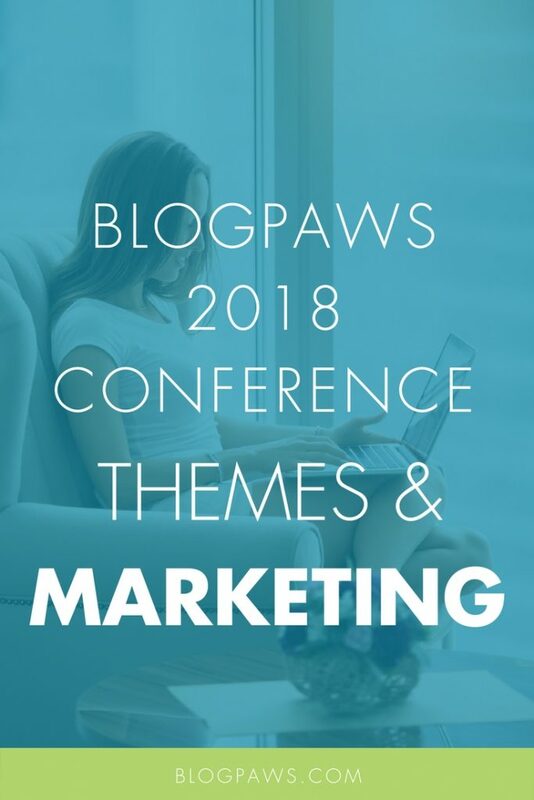 Keep the momentum going, and if you blog about the conference and your experience, add your blog post to our official BlogPaws 2018 Conference Linky Party. If you didn’t attend, but you want to learn more, be sure to check out the posts from our attendees partaking in the hop. BlogPaws is year-round education.